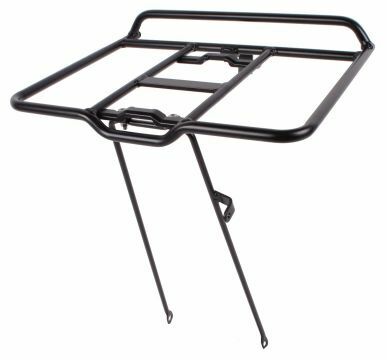 The AVS system is a Red Dot Award winning system for attaching accessories to both front and rear carriers for bicycles. The signatures for the system is user friendliness and that it is intuitive. 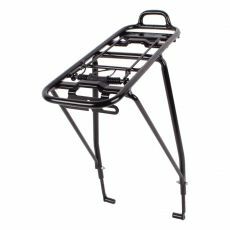 It is very easy for end customer to understand how it works and baskets and bags stays really firm on the carrier when riding. This is due to the excellent design and attention for details provided by Atranvelo and co-designer Semcon. 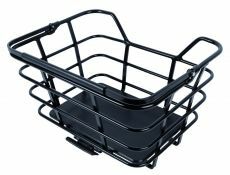 The flexibility of AVS makes it easy to switch the basket or bag between front carrier and rear carrier or remove it anytime. One of the big advantages also with AVS is that you can use double panniers and on top of them also add a top bag or a basket. As well as that it is also possible to remove one of the side panniers to use it as a single pannier. 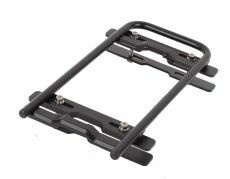 The system is used by a lot of brands like Conway, Winora, Victoria, Haibike, Falter, Cortina, Crescent, Raleigh, Skeppshult, Kildemoes, MBK, Winther, Helkama, Nishiki etc and there are a wide range of high quality aftermarket accessories available. 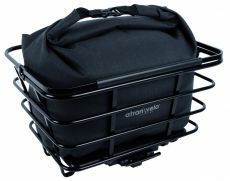 Atranvelo offers well-designed aluminium & steel baskets, pannier & bags, wooden boxes and much more. But AVS accessories are also available from Cortina, New Looxs, ConTec, Spectra etc and the list of partners around the system is increasing all the time. 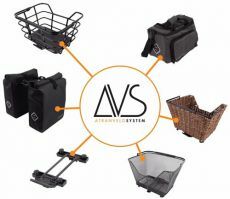 AVS is an open system so it is possible for both producers of carriers and accessories to have a license with Atranvelo and by that be able to offer AVS for various bicycle brands.